Long enough for suits, smaller dresses, jackets, skirts, coats, trousers etc. 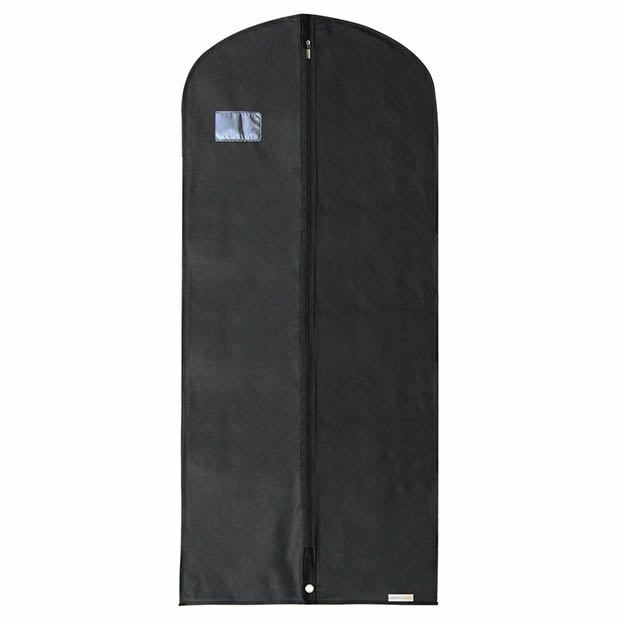 Quality full length front zip, shaped shoulders with top opening for hanger hook. Lower strengthend eyelet for easy carrying draped in half. Clear pvc viewing window with front document holder. Size: Length x Width 54'' x 24'' (137cm x 61cm) approx.